Fans: Better Start Saving Up! Louis Tomlinson Spotted Wearing Merch Joggers! 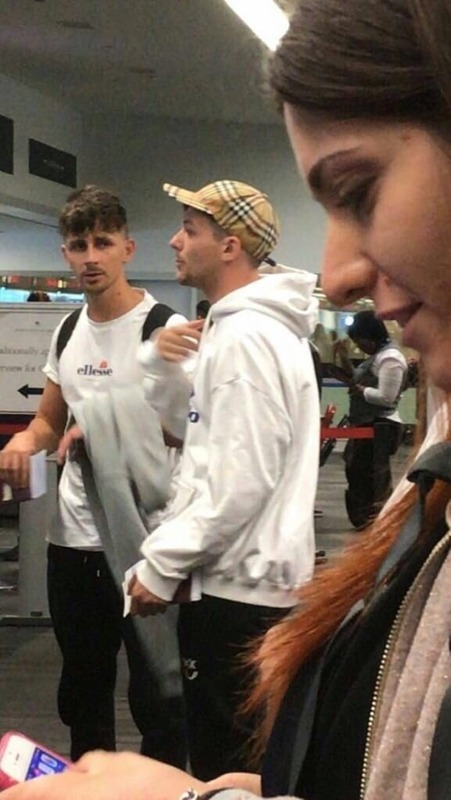 Louis Tomlinson was spotted in Philadelphia at the airport yesterday with friend, Calvin Rodgers, and he appears to be wearing joggers from his own merch line. The joggers feature Louis' famous smiley logo. Fans are already saving up for Louis' album and tour so they better save up a bit more so they can get their hands on Louis' upcoming merch line as well! Louis is thought to be headed to the Firefly Festival in Delaware this weekend. He followed the festival on Twitter earlier this year.